Vegan Vs Vegetarian Vs Pescetarian - Health Benefits? Vegetarian and vegan are two words that we have all heard of but most of us won’t really understand the difference. We know that it means vegetarian food or a vegan diet doesn’t contain eat red meat or any meat-based diet, but what is the difference between the two? This section of our site explores the differences and similarities between veganism and vegetarianism. The discussion will touch on basic points and expand out into more detailed discussions on things like life expectancy and lifestyle challenges. 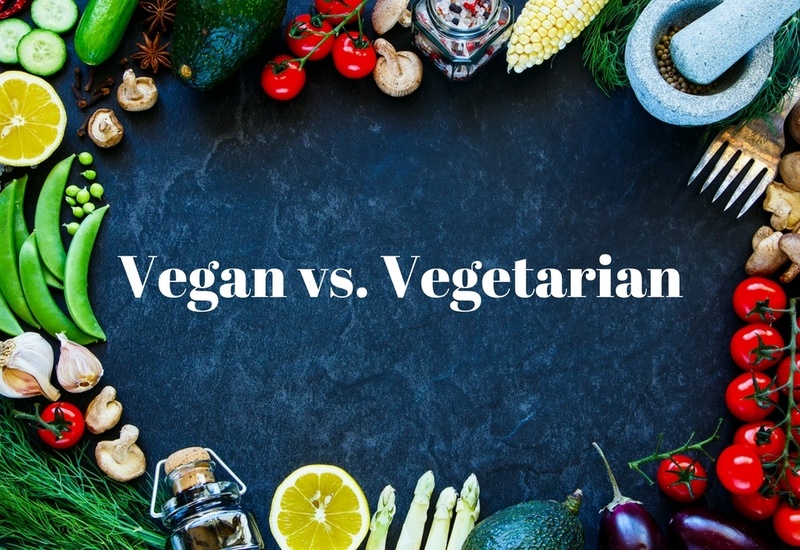 Whether you’re a meat eater wondering what the difference is or you’re a vegetarian wondering how to get more serious about animal rights with your lifestyle choices, it can be helpful to compare and contrast veganism and vegetarianism. If you’re a new vegan and you have some family members and friends who don’t quite get what you’re opting to do with your dietary and lifestyle preferences, you can send them this page to help them understand what veganism is and what it certainly isn’t. There are a few ways to understand the basic differences between being vegetarian and vegan, but a lot of these definitions can be a little bit too strict. Instead of giving a rigid definition, it can be helpful to think of veganism and vegetarianism as existing on a spectrum of human dietary preference options. For example, some vegetarians may feel comfortable eating most dairy products because the animals that give milk are kept alive, but may refuse to eat cheese made with rennet, which is an enzyme complex derived the stomach lining of ruminant mammals (cows, sheep, etc.) who must be killed in order for rennet to be obtained. Other vegetarians may feel comfortable eating cheese made with rennet because their justifications for adhering to that specific diet don’t have to do with animal rights including dairy products and any animal by-products or concern over animal death and may simply relate to personal taste preferences that exclude the consumption of meat. These can all be argued to be points on a spectrum that lead to veganism. Let’s start at the vegan end of the spectrum. Strict veganism means a total rejection of all animal-derived products both in lifestyle and in diet. That not only means that all food choices containing products with animal by-products of any kind are rejected but also that all clothing and other product choices avoid the exploitation, abuse, and misuse of animals. Animal testing is included in this, as are products that are argued to come from. Some vegans may even reject the idea that it’s OK to keep pets, arguing that domesticating animals in any form is a form of animal slavery. Based on the number of vegans who have happy, healthy pets, though, this is all just part of the spectrum. Lots of people believe that you can be a pet parent and still be a vegan. Essentially, if a person strives to reject the use of animals for food, clothing or labor and refuses to consume, purchase, wear, or use products that involve animals at some point in the production process, they are vegans. On the other end of the spectrum, you have vegetarians. Vegetarians don’t eat animal flesh, meaning they don’t eat meat, but they don’t reject the use of animal products and labor as strictly as vegans do. The specifics of this vary greatly from vegetarian to vegetarian. One vegetarian may go to a steakhouse with friends or family and order a baked potato with butter and broccoli rather than a steak, while others would only be willing to eat that baked potato with butter and cheese in a setting where meat wasn’t on the menu. Some vegetarians will consume products made with gelatin, which is derived from animal bones, or wear leather. As mentioned above, there’s a huge amount of variety in personal preference on how vegetarianism manifests. Some vegetarians are quite close to meat eaters on the dietary choice spectrum due to their widespread acceptance of animal-derived products in all areas of their lives, while others are essentially vegan with the exception of a few specific lifestyle choices, such as consuming honey with their morning tea and eating full dairy ice cream on occasion, but get their nutrients from different fruits, vegetables and grains most of the time. A person who is vegan 364 days of the year but always eats a piece of grandma’s pumpkin pie with whipped cream on Thanksgiving could be argued to be a vegetarian rather than a vegan. Some vegans and vegetarians consider this kind of thing a worthy subject of debate, but others think it’s more important to focus on reducing the number of animal products the human population as a whole consumes rather than to nitpick individual choices. If you’re currently a vegetarian who’s pretty lax about what kind of animal products you use and you’re interested in moving more toward the vegan side of the spectrum, you can do so gradually by taking stock of the products you use and consume. Perhaps you can start small by opting to never purchase leather again and then gradually make other changes like this. Vegetarianism is often the first step toward veganism, but if there are some foods or other products you really think you’ll miss, you may want to slowly start finding suitable vegan alternatives in order to increase your chances of success in adapting to the strictly vegan lifestyle. Most of the people who make this switch find it very rewarding and worthwhile in the end, so start making some small changes today to see how it feels. One last thing to consider in the vegan vs. vegetarian discussion is the fact that vegetarians’ dietary and lifestyle preferences naturally lead them to a wider range of options in grocery stores and beyond. Vegetarians usually have an easier time of it when it comes to purchasing packaged and otherwise commercially prepared foods—they may not need to be on the lookout for hidden dairy or egg derived ingredients. However, because some vegetarians have specific restrictions, such as being willing to eat non-rennet cheese but not eggs, it’s not always so easy. Vegans can advocate better for their cause if they extend some sympathy to vegetarians who feel they have to struggle and help them find suitable product options to suit a lifestyle of minimal cruelty toward and exploitation of non-human animals. On the spectrum of human dietary preferences, there is a midpoint between vegetarianism and omnivorous eating: Pescetarianism. The root word Pesce is the Latin word for “fish” and that’s the major clue to understanding this dietary choice. Pescetarians eat meat, but only that which comes from fish and other seafood products. That includes shrimp, oysters, lobsters, salmon, tuna and any other animal that lives in water is fair game for pescetarians. Pescetarians usually don’t distinguish between animals that live in fresh or salt water, though some may for environmental reasons, which we’ll discuss below. There are some people who call themselves “vegetarian” even though they eat fish. The exact reasons for this are unclear. There’s no question that fish, shellfish, bivalves, cephalopods, and other water-dwelling creatures are animals. They’re grouped taxonomically into the animal kingdom, they have multi-cellular body structures and reproduce as animals do. Their bodies are made of flesh and that makes them meat. A person who says “I don’t eat meat but I do eat fish” is a pescetarian, not a vegetarian. Even those who eat a 99% vegan or vegetarian diet but occasionally eat fish are pescetarian. Each pescetarian has their own motivations for adhering to that dietary choice. For many, it’s health-related. Seafood products do tend to be lower in fat, calories, and cholesterol than other animal-derived ingredients. However, there are some strong arguments to be made against pescetarianism from an environmental perspective. Overfishing is a major concern for our oceans and some fish populations are near extinction due to the pressure they face not only from a growing human population and unchecked fishing but also to the destruction of habitat from global warming, pollution, and other human-caused challenges. Additionally, some fish, particularly those that are highest on the food chain such as swordfish and tuna, have dangerously high mercury content and shouldn’t be consumed more than once or twice a week, if that. Other pollutants are a concern for different kinds of fish depending on where they live and are caught. Some lakes and rivers are so polluted that their fish and other seafood shouldn’t be consumed. However, if the ability to eat fish is the only thing that can move some people closer to the vegan end of the spectrum that may be a good thing. Each step toward veganism can be seen as a net gain by those who believe that all humans should adhere to this lifestyle. Though veganism is rewarding for a variety of different reasons, it’s not easy. As mentioned above, it can be easier for vegetarians to find foods, clothes, personal care and lifestyle products that suit their lifestyle preferences, but vegans don’t have a similar range of options. This section explores the different areas in which vegans face challenges in adhering to their lifestyles. It highlights the importance of vegans advocating for themselves and helping to share information on what products and items are safe for use in our community. It’s particularly difficult to be a vegan if you live in a food desert or otherwise don’t have access to a wide range of whole, unprocessed foods. That’s because processed foods tend to have long lists of ingredients and many of those ingredients can be derived and tested on animals. The modern food manufacturing process is usually only as transparent as it’s forced to be. That is, the companies that mass produce food for sale will only disclose ingredients if they’re required to do so. Can you imagine a major international food conglomerate bothering to tell us what’s in our food if they weren’t forced to do so by law? Why would they waste the money doing that when they could just pay it back into their executive salary fund or pay it out as dividends to their stockholders? As profit-focused entities, it’s not in a business’ best interests to spend more money than they have to list what’s in their products. This doesn’t mean that it’s impossible to find vegan-friendly foods and that you can’t trust anything sold in a package in a major grocery store chain. We’ve created helpful shopping lists for some major retailers so you can get an idea of just how many vegan-friendly foods there are out there. Some companies actually build transparency and appeal to health-conscious individuals into their marketing, and when this is the case, labeling is often much more accurate and informative. These companies will provide a clear list of ingredients and label their foods as vegan-friendly, gluten-free and/or non-GMO. However, there are far more companies that aren’t concerned with transparency than there are companies who make it part of their mission. This contributes to the fundamental challenge of being a vegan in modern society. Consider the rise in gluten-free products over the past several years. Finding gluten-free foods is arguably easier than finding purely vegan foods because there are some serious health issues relating to wheat allergies and gluten intolerance. Gluten-free foods are clearly labeled and what you see is what you get. There are a number of potentially serious liability issues involved with inaccurately labeling a food as wheat- or gluten-free. Wheat allergies, like all allergies, can be fatal to those who suffer them. A person with a severe wheat allergy can fall into anaphylactic shock and die if they eat even a single crumb of food with wheat in it. Those with Celiac disease can suffer serious damage to their small intestines if they consume gluten from wheat, barley, or rye. Those who simply prefer not to consume gluten or believe the theories about its negative effects on all humans can then benefit from the legally required disclosures that are intended to protect the people who suffer from serious gluten-related health issues. It’s much harder to label foods as being 100% vegan than gluten-free. There are just so many different ingredients in packaged foods and a lot of them come from animals in some way or another, whether it’s through a long processing chain or through testing. Food manufacturers aren’t required to disclose whether a product has any animal-derived or tested ingredients. Legally mandated allergy disclosures do cover a variety of non-vegan-friendly ingredients like eggs, shellfish and dairy, and that does make it a bit easier to immediately rule out some foods. However, these disclosures don’t cover animal derived or tested chemicals that aren’t known to cause significant allergic reactions. This means that vegans have to really understand food ingredient terminology and be prepared to forgo certain foods if they can’t 100% verify where each ingredient was sourced. Even when you understand all the ingredients on a list, you’ll still need to look out for disclosures that warn consumers that a product was processed on equipment or in the same facility as equipment that processes animal-derived ingredients like shellfish or eggs. The solution to this challenge is twofold. One, if you can grow your own food do so. If you’re 100% opposed to the use of any animal products at all in the making of your food, it’s important to remember that some industrially-farmed vegetables, especially those grown according to organic principles, may use animal manure as a fertilizer. Growing your own or purchasing from a local farmer you can talk to is one way to take your power back and make sure your diet is strictly in line with your principles. Two, using our lists to identify safe brands and items in grocery stores can also make it easier to add variety and good flavors to your diet. There’s an added benefit to growing your own or buying from small farmers whose ethics you can validate with conversation. Many vegans say they live a cruelty-free lifestyle, but they often forget how much exploitation of human beings happens in the factory farming industry, particularly with respect to women migrant workers in produce farming settings. Human rights and social justice organizations such the American Civil Liberties Union and the Southern Poverty Law Center have detailed the abuses that can happen in these settings. If we truly want to live cruelty-free and exploitation-free lifestyles, it can be important to remember that humans can suffer for our comfort as well. Not all vegans consider human rights as important as animal rights, but those who do should take note of this issue. From lanolin in lotions to fish scales in eyeshadow, personal care products are a minefield of hazards for vegans. Even household cleaning products, which may not actually contain any animal-derived products, can be difficult to purchase due to their use of animal testing to ensure safety. But even some seemingly innocuous products can have ingredients in dyes or surfactants that are animal derived. It can be even harder to determine which products in these categories are safe because, unlike food, they’re not required to include full ingredients lists or allergy disclosures. There are a few solutions to this issue. Again, making your own products at home or using one-ingredient cleansers like vinegar can be a good way of making sure that your personal care and cleanliness routines are vegan from top to bottom. You can also identify brands that specialize in making vegan products in these categories. Clothes can be especially challenging for vegans because fabric content labels don’t cover details in the manufacturing process such as whether dyes were tested on animals. It can be even harder with mass-produced items like furniture, which may use animal-derived glues at some point in the manufacturing process. Vegans handle this in a variety of different ways. Some choose not to over think it, especially if they have limited budgets and can’t afford the luxury of custom-made, handcrafted furniture made from solid hardwood. These vegans do their best to avoid obvious animal-derived elements like leather, suede, wool, and fur. Other vegans, especially those who have the financial resources to do so, choose to purchase their furniture and clothing from small, local craftsmen, artisans, and designers who can provide full transparency on what’s in their products. As with other product categories, it’s also possible to find vegan-friendly clothing companies, particularly those that produce shoes since leather is such a common element in boots and sandals. As with food, human rights abuses in clothing, furniture, and other manufacturing processes can also be a concern for ethically-minded vegans who consider human rights to be a facet of animal rights. Vegans who are concerned with this should try to limit their clothing purchases to clothes made in countries with wage and labor laws to protect workers. Again, this may not be so easy since so many of the most affordable clothing and furniture options are made in countries without these protections, so some research and thought may be required to work around this issue. From President Bill Clinton to Albert Einstein, there have been a number of famous people throughout the ages who’ve switched to a vegan or vegetarian diet for health reasons. In most cases, these people never look back after making the switch, noting that their health issues, from weight to physical digestive discomfort, resolved entirely after their dietary change was put into effect. Vegans and vegetarians love to point to these examples as proof that cutting meat or all animal products out of one’s diet can make a huge positive change in one’s overall health and well-being. Vegans, in particular, tend to feel that their lifestyle is the healthiest and even make sweeping claims about the potential life expectancy benefits of veganism. In this section, we’ll explore whether this assertion can be backed up with data and we’ll also talk about the idea that vegans have an even better life expectancy than vegetarians. However, before we get started, it’s important to have a small reality check. We already know that veganism is, in many ways, a morally superior lifestyle and there’s plenty of fact-based information to support the idea that veganism is an extremely healthy lifestyle choice. With that in mind, we’re going to avoid repeating any false information. The truth is on our side, so we don’t need any distorted facts and unsubstantiated claims to back up our arguments. Good quality information will do that for us. That means that in some ways, we won’t be toeing the vegan party line on life expectancy. Firstly, there’s something important that tends to get lost in discussions of diet and life expectancy: Many health issues are genetic. That’s why seemingly fit, healthy people can die suddenly of heart attacks or get type-2 diabetes as adults. Human beings tend to want to believe that they can somehow beat their own mortality, but the fact is that there’s only so much we can do to control our health. A lot of the things we don’t want for ourselves are an inevitable part of our lives thanks to our genetic code. If you’re from a family with a high risk of heart disease, you may be just as much at risk for that condition than a person with no family history of heart disease on either side regardless of what your lifestyles are. That’s not to say that you shouldn’t even try to be healthy; there’s a reason why obesity, cancer, and other deadly diseases are on the rise. Our lifestyle choices unquestionably impact our health, which, in turn, impacts how vulnerable we are to life-threatening diseases. Being as healthy as possible will certainly give you a better chance at a long life. However, it’s just not honest to pretend that there’s one single way for all humans to beat the genetic odds. One of the most important ways to be honest about the relative health benefits of veganism or vegetarianism is to take a complete look at some studies on whether vegans or vegetarians tend to live longer than meat eaters and whether vegans win out on the life expectancy contest. Before we get started, there’s an important disclaimer to be aware of. Media reporting of scientific studies can be absolutely abysmal and that can lead to false impressions that allow people to act as though their opinions are gospel because a newspaper headline says so. Ultimately, if you haven’t actually read the study being reported in an article, you aren’t getting a reliably accurate picture of what the study found. Journalists provide an important service to society, but because their jobs are motivated by profit, they can fall into the trap of clickbait headlines. Scientific studies are a particularly dangerous area for this to happen. For example, a 2013 study of vegetarians drew headlines like “Vegetarian? You’ll Probably Live Longer” and “Veg out! Another study finds vegetarians live longer than meat-eaters.” While the essence of the first headline is true and involves a measure of restraint, the second is dramatically misleading. Both miss out on a lot of the essential nuance that characterized the study they discuss. If you go beyond the headline, you’ll find that the study tracked fewer than 100,000 people all belonging to a single religious group: Seventh-Day Adventists. That sample size and group should raise some alarm bells for headlines like the one listed above. Any study that discusses the human population as a whole should be much more diverse than this. If the study was specifically aimed at assessing health among Seventh-Day Adventists, that would be useful. But to extrapolate the results from a community of people who live according to strict lifestyle rules is to mislead people who may not eat meat but engage in many other types of risky behavior. Statistically speaking, a meat-eater who pays careful attention to sodium and fat intake, doesn’t smoke, doesn’t drink, experiences minimal stress and only travels by car once or twice a year is likely to live longer than a vegan who parties frequently, eats a lot of processed junk food, smokes heavily, rock climbs without ropes and rides a motorcycle without a helmet. 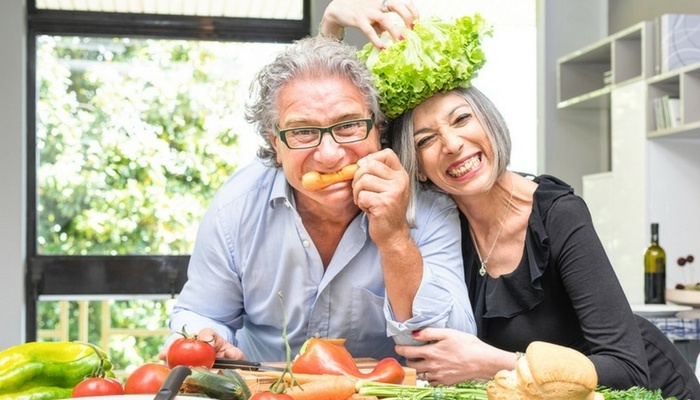 Diet is only one small part of the puzzle when it comes to life expectancy. 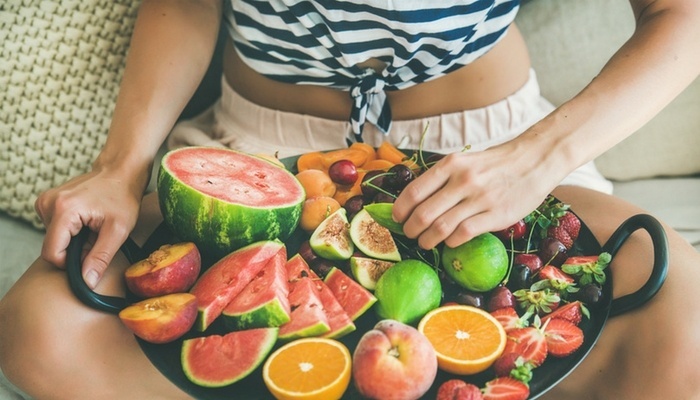 However, if diet were the sole determinant, the argument could easily be made that plant-based diets are best and that vegan diets are, in fact, the best possible diets for human beings. However, there isn’t much research on this and, again, it’s important to put scientific studies in context. No good scientist would look at a single study and think it told the whole story on a particular issue and if you want to use this information in an honest way that’s in line with its intent, it’s best to take the same approach. There is some good news, though. One of the few studies that do exist to specifically compare vegan and vegetarian diets rather than vegetarian and omnivorous diets found that animal protein is detrimental to human health. This includes both meat and egg protein. The conclusion, then, is that vegetarians who eat eggs may have a shorter life expectancy than a person who eats no meat or egg protein at all. The scientists involved in this study released some quotes that provide a good overview of the outcomes of their research. For example, researcher Mingyang Song, MD, ScD, said that the study points to “the importance of the sources of dietary protein for long-term health outcomes.” In other words, the kind of protein you ingest makes a difference in health over a lifetime. Massachusetts General Hospital, the institution responsible for the study, crafted a press release on the study with the title “High animal protein intake associated with higher, plant protein with lower mortality rate,” providing a pretty clear indicator of what they think of the research. So, do vegans have the longest life expectancies of all? Maybe not. But do we have the best diet? Very likely so. Pescatarian (note spelling) isn’t a real diet ! What? Are we going to make up a name for EVERYTHING a person does or doesn’t eat ?!? Do we need a title for people who don’t eat deer, veal or frogs but eat other animals ?!?! What if the only meat you ate were Slim Jim’s ! GET REAL ! There are only TWO groups of diets- Omnivores and Vegetarians ! It’s just a matter of how strict you are on either side. So-called “Pescatarians” are still Omnivores ! It seems that people that only consume vegetables become legalistic and angry…. Thank you for your comment Veggie Dude. However, I didn’t come up with these diet labels, I just wanted to give people some background info on them.